For some time I’ve wondered about Miranda Darling. Just who is she? I somehow missed Darling’s initial success, having not read her first thriller The Troika Dolls, but have begun to wonder about this ‘new’ author whose name kept cropping up in book lists everywhere. 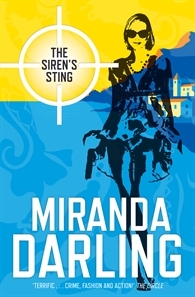 Then the kind people at Allen & Unwin sent me a copy of Darling’s latest novel The Siren’s Sting and so I was introduced to the fast-paced world of risk assessor Stevie Duveen. The Siren’s Sting begins with Stevie playing minder to a temperamental opera star on a luxury yacht off the coast of Somalia. The yacht is attacked by pirates and Stevie is injured as she helps thwart the attack. Whilst recuperating from these injuries at her grandmother’s villa in Sardina, Stevie is given another job from David Rice, her boss at Hazard, to assess a threat on the son of Clemence and Vaughan Krok. And so begins a frantic thriller, with intricate plot twists and turns, and multiple glamorous settings ranging from the Mediterranean to Venice, from Azerbaijan to Malaga in Spain. 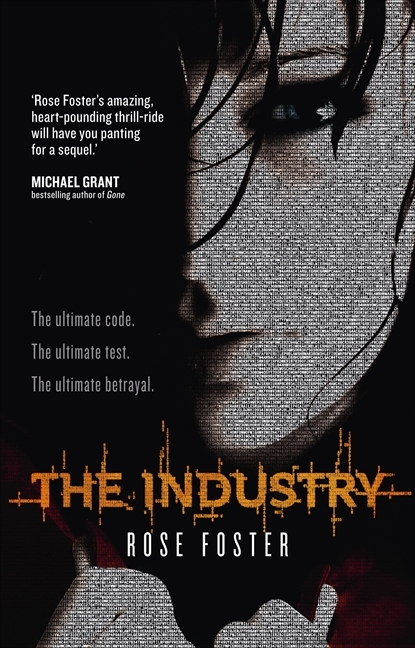 This is certainly not a thriller for the faint-hearted. Darling weaves a clever web of intrigue, spun by a cast of glamorous players: arms-dealers, aristocrats and the super-wealthy. With its illustrious setting and dazzling characters The Siren’s Sting reminds me of a James Bond novel, with one major difference: for me, Stevie Duveen lacks the charisma of 007. This may be as a result of the oft-referred to loss and trauma which she suffered prior to The Siren’s Sting. Not having read the first Stevie Duneen novel, I may not be fully qualified to question Darling’s portrayal of her protagonist in this work. Part of me just yearned for Stevie to have more chutzpah like Lisa Scottoline’s Bennie Rosato or have more of the clutzy but lovable personality of Janet Evanovich’s Stephanie Plum. To be fair, Stevie’s enigmatic demeanour is a minor shortcoming, as the vast array of rich and eclectic characters overall will satisfy the hardest to please reader. I may just have to get to know Stevie better. This appears to be inevitable as the ending of The Siren’s Sting is clearly left open for a third book in the Stevie Duveen franchise. I’ll be back for more. The Siren’s Sting is a fresh, intelligent and unique thriller. Darling clearly understands international security and intrigue, and this translates to an innovative and exciting story. Replete with exotic locations and larger than life characters, The Siren’s Sting is the perfect book to take on holidays and read beside the pool. Definitely one for the Christmas stocking.